Police are concerned for the safety of a 22-year-old woman who went missing after leaving a Swindon nightclub in the early hours of Saturday. Sian O'Callaghan, who is from the town, was last seen leaving the Suju club. Nobody has heard from her since. She is 5ft 3in tall and was last seen wearing a grey dress. Officers have carried out searches of a forest near Marlborough, after it was thought a call was made from Ms O'Callaghan's mobile phone from there. Police stayed in Savernake Forest, which stretches to 4,500 acres and lies between Marlborough and Hungerford, until nightfall. Ch Insp Mike Jones said: "This behaviour is out-of-character for Sian and her family is understandably very concerned for her welfare." He said: "For Sian not to return home after a night out and not make any contact with family or friends is not only unusual for her but is something that she has never done before. "Sian doesn't appear to have any reason in her personal life that would indicate that she might want to leave the area and she is normally an avid Facebook user but has not used her account since earlier in the day on Friday. "Sian's family are extremely worried about her and we are offering them our full support." Ch Insp Jones said people in Swindon would notice an increased police presence in the town as officers conduct their inquiries and specialist teams carry out searches. "I'd like to reassure the public that we are conducting a thorough investigation into Sian's disappearance and that we have a team of highly-trained officers working on the inquiry," he said. "It is very important that anyone who knows of Sian's whereabouts, or of any reason for her to stay away, contacts us immediately. "I would also like to take this opportunity to appeal directly to Sian and ask her to make contact with her family or police to let us know that she is okay." Miss O'Callaghan has brown asymmetrical hair and green eyes. She was last seen wearing a black bolero-style jacket over her dress, and flat boots. She was also carrying a dark handbag which had a beige flower attached. Wiltshire Police confirmed Miss O'Callaghan had been assaulted in the toilets of the Suju club in October 2008, when another woman punched and hit her. A spokeswoman said: "We are aware of a previous assault, but we are very much focusing on the here and now. It is not a focus of the investigation at the moment." 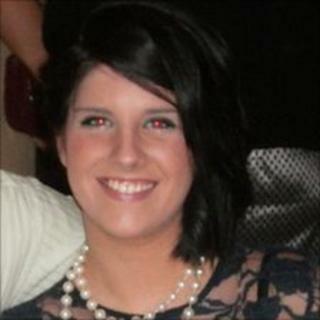 Friends have set up Facebook groups and appealed for help in finding Miss O'Callaghan on Twitter.